Ever dream of doing something which seemed insurmountable? I’ve had lots of them. As a matter of fact, for years I wished to touch hearts through writing. But I had a personal mountain to overcome. Over thirty years ago, I tested positive as learning disabled. This followed flunking kindergarten and the efforts of my then bug-eyed teacher to coerce me into using my right hand instead of my left. After several weeks of numerous, unsuccessful, attempts to train me to be a right handed person, one day my grey haired teacher snapped. “You will not!”…Her jaw quivered and her pale complexion turned a ruddy red…“write with your left hand!” Frustrated by my obvious ineptness and inability to learn, she spat. “Left handedness is a sign of retardation.” My bottom lip trembled as I switched the fat pencil to my right hand and held it awkwardly. Two years later, one breezy fall morning, my second grade teacher led me to a room on the other side of the large campus. She opened the special education door and told me I would need to come here each day. I didn’t understand why I couldn’t stay with my class and thought I had committed a crime. I couldn’t read or write and I still used my left hand. I hung my humiliated head. An aide showed me to my desk and I sat there with my new reader. I looked around the classroom and studied the various children and their obvious physical needs. My gosh! What’s wrong with me? I don’t have crossed eyes or a problem walking. Across the room, the classroom door nested in a wall of windows which overlooked the black top playground. While I waited for instruction, a revelation settled on me and I wanted to rush out the door and run home. I use my left hand. I cast my ashamed eyes down at the grey blue book in my hands. The yellow, meaningless, letters formed an unknown title to me. I’m a retard. A retard! Roll the camera forward to my fortieth year. It was a season of great personal accomplishment. In fact, I did a very un-retarded thing…I wrote a book. What does it take to achieve a personal dream of any kind? For me, I had to ignore my self critic (she’s very bossy and undermines creativity), and defy the memory of my kindergarten teacher’s hurtful words. I also looked to God for help with what seemed to me an insurmountable mountain to climb and then I simply wrote. The day I held in my hands the first copy of Angels Appearing, I nearly laughed with the rare joy I experienced. 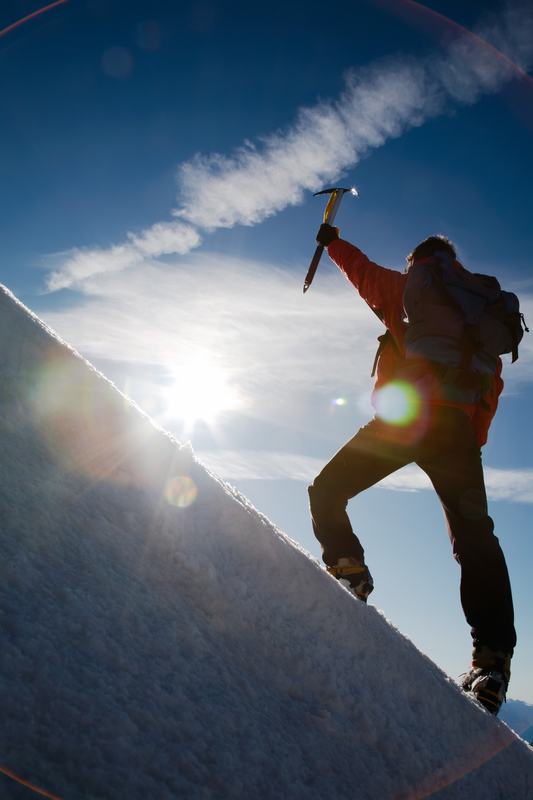 With God’s help, I had climbed Mount Everest, in a matter of speaking, and beat personal odds. I pushed through the challenges which loomed before me and achieved the desire in my heart to touch others through writing. That achievement replaced what my bug eyed teacher told me. I wasn’t retarded; nothing’s wrong with my intelligence, and I learned something valuable…with God, dreams do come true. This entry was posted in Uncategorized and tagged achievement, dreams, learning disability, overcoming, physical handicap, prayer. Bookmark the permalink. Wow, what a story. Thanks for sharing. As a left handed person, I too remember feeling awkward in a right handed world. Though I was not put in a special class, I did have trouble writing for a long time. In the 8th grade an art teacher saw me struggling to write with my hand turned the wrong way. She took 15 minutes to show me how to use a pencil the correct way with my left hand and it changed my whole perspective on learning. I loved your story so much, I put a link to it on my facebook page. What an amazing story! God is Good! Congratulations! Oh! SO sad what happens to children! I went through a lot of simular things. I chose to homeschool my daughter instead of letting her be put into a “slot”. She has turned into a beautiful and self confident young lady at 17. Love you lots & will see you some time soon I hope! Dear Pam, I was so touched by your story, I work with young children each day, and I can’t imagine saying things like that to any innocent child or treating them like that. Thanks for sharing this difficult story. What a healing and powerful way God has used you. You are such a beautiful inspiration, Pamela. I appreciate your honest witness of the grace of God and your willingness to pass it on to all who cross your path; especially me. God bless you! Tracy thank you for the comment hug. 🙂 My heart is warmed. Glad we’re friends. Christine, thank your for sharing your heart touching testimony. It put me in awe of God. Nothing’s too difficult for Him. He’s the answer for the broken and hurting. Sounds like you’re helping others through your story. Yes, let’s stay in touch. Do you have a blog? Feel free to leave the address here. Well the blog on my Facebook wall, which Bry shared today on her wall is at existentialthoughts.wordpress, but I have several others I have begun that are more topic oriented. Occupy Your Space at occupyyourspace.wordpress Confessions of a Thoroughly Modern Spinster at thoroughlymodernspinster.wordpress and lastly, but not launch is the site dedicated to my journey, and message and named after my literary short and film: Like Tar Across My Back at liketaracrossmyback.wordpress.com -And yes, my goal is to reach out and help others, so I have a group of women I have been mentoring. God bless you, and so nice to meet you! Keep climbing, Pamela. Blessings to you. Wow it is amazing how the enemy starts early trying to thwart God’s plan for our lives. You are living proof that we are over-comers. You are just getting started, there is so much more! Thanks for the great write. My daughter is left handed and is smarter than the average! Amazing the words we speak out of ignorance. You did a great job writing this article. Keep it up!!! Joanne, thank you for replying to An Insurmountable Dream. Your daughter might be interested in the website honoring left-handers, http://www.lefthandersday.com. I just checked it out and learned some fascinating facts about left handedness. One new discovery for me is that August 16th is Left-Handers Day. Go lefties!